My first order of business for the day was to take in the Lorraine Glessner exhibit at Cabrini College. 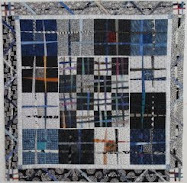 Lorraine is a local artist who works in encaustic mixed media and fiber. 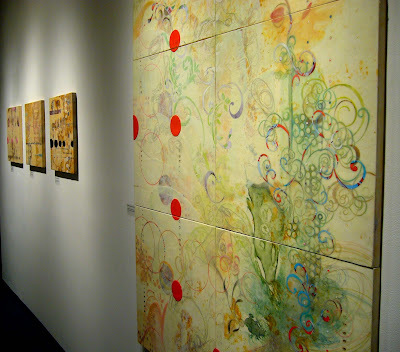 The exhibit at Cabrini is a sampling of her newest work utilizing encaustic techniques on rusted and branded silk, and incorporating human and horse hair. Her pieces have a very organic feel, watermark-like in appearance. If you guessed brioche you'd be correct. 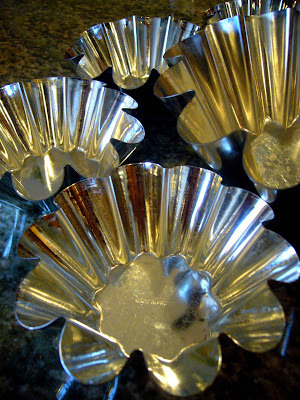 The pans pictured above are called "a tete" molds. 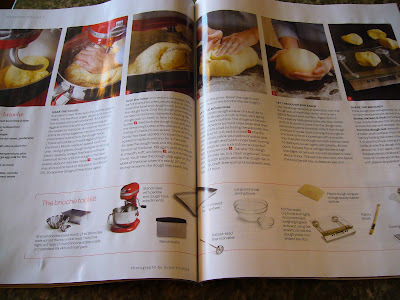 The current issue of Fine Cooking has a wonderful, pictoral recipe for brioche. I've made brioche in the past - they can be fickle, but are well worth the effort. Here's a quick hint - the recipe calls for room temperature eggs - I of course never remember to set my ingredients out ahead of time. 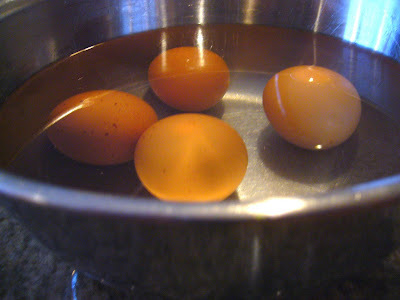 Quick Solution - place your eggs in a warm water bath to bring to room temperature - works every time. 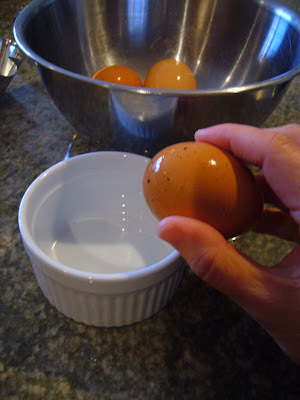 Another tip - when adding eggs to a batter always crack the eggs into a bowl first. 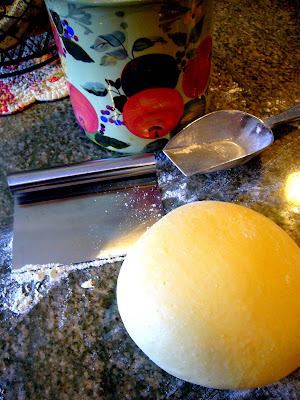 This will prevent you from adding shell to the batter, or worse yet, a bad egg. To warm up the milk I put it in the microwave for one minute at 30% power. 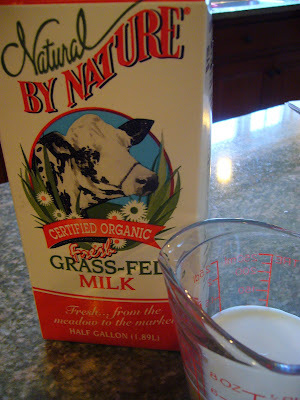 And, yes, I always use organic milk. 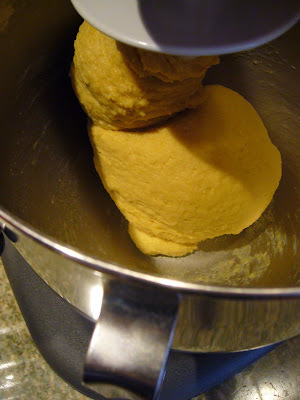 Here is my dough before the addition of the butter. Ahhhh, yes, the BUTTER. Sorry kids - brioche is loaded with butter - that's what makes it taste so good. 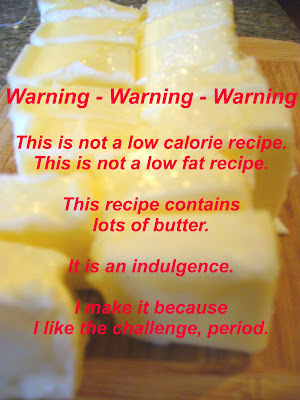 This recipe makes 16 servings and calls for a half pound of butter - it's an indulgence, what can I say? How lovely - look at the perfect dough after one hour of proofing at room temperature. Now into the fridge overnight to develop flavor. I'll finish the brioche tomorrow - stay tuned for follow-up. 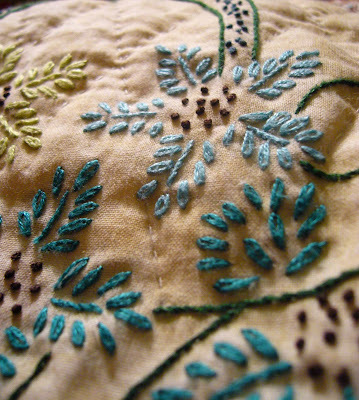 Now here is another "teaser" - I was working on a binding for this quilt today. You're only getting a sniplet of a tease - I want the full reveal to include a photo of my Mom - she embroidered all of the blocks in this quilt. You're going to have to wait until next week to see the entire quilt - until then, only sniplets! Who Knew I Could Embed!